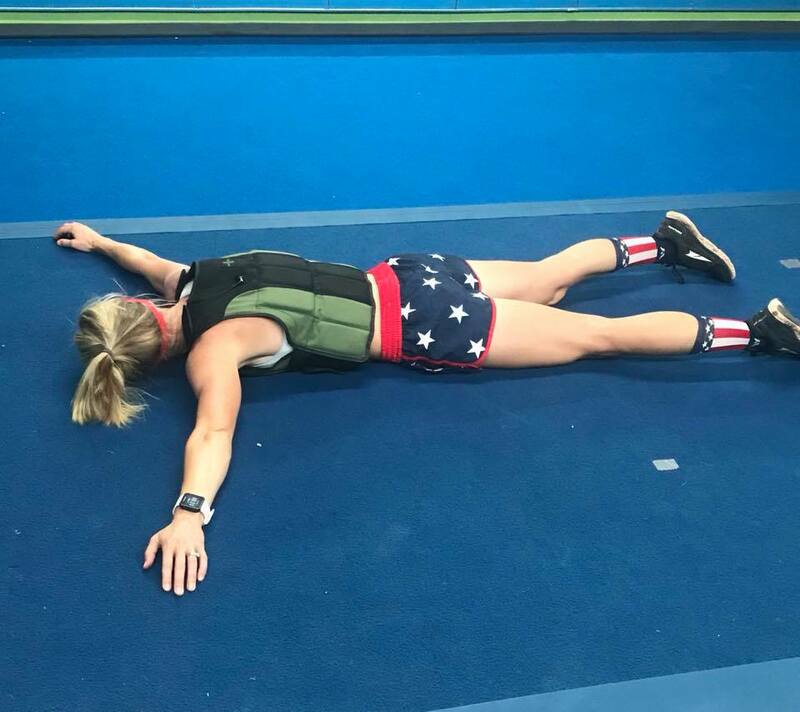 9xConquer The Gauntlet winner and CTG Pro Randi Lackey collapses after a 4th of July themed JRen Fitness workout. If you spend time at a normal gym or grew up reading issues of Muscle & Fitness, the name Harbinger should jump out at you. I have trouble going into a gym without seeing someone using one of their products like gloves, wrist wraps, lifting straps or weight belts. While most of these accessories are uncommon for the Obstacle Course Racing (OCR) athlete (although I think they have value when used appropriately, for certain repetition ranges and at certain points in your exercise), they do have two products that every OCR athlete should look at buying. Harbinger Big Grip Bar Grips are a rubber sleeve that goes over any bar to make it harder to grasp. This is a perfect tool for improving grip strength and ensuring your grip is constantly stressed during all weight training. The second piece of gear and the one we will focus on for this article is the Harbinger Weight Vest. Trainer from Conquer Fitness, Conquer The Gauntlet Pro and 5xCTG winner Bryce Robinson finishes a training session with his Harbinger Weight Vest. Purchase Options: The vest comes in three weight variants, 10 lbs, 20 lbs and 40 lbs. However, it should be noted that any of the vests can be adjusted down in weight by increments of 1 lbs. The different vests are also color-coded, with the 10 lbs. as light blue, the 20 lbs. as green and the 40 lbs. as blue. The 10 lbs. is actually has a female-specific cut. I went with the 20 lbs. one because it’s green (the color of Conquer The Gauntlet and the CTG Pro Team) but more because of 20 lbs. is enough to a elicit a training response without being too heavy (when I bought my Wreck Bag, I got a 70 lbs. one, which is heavy for most exercises I want to use it for besides just carrying it). Vest shown with individual 1 lbs. weights displayed in front. I have the 20 lbs. version, which comes with 20 single pound weights. The weights are rubber and filled with sand make them fairly large compared to some other companies. The weights are about the volume of a large cell phone but with different dimensions (shorter height/length but greater depth). I have used other weight vest where one of the weights was rubbing my hip bones uncomfortably and I had to remove them from that pouch. Initially I was concerned that there would be a similar problem, but even the weights that touch my hip bones don’t chaff because they are made of soft rubber filled with sand that has extra space in there allowing the sand to become more form fitting. I have also had friends complain that their weight vest with metal weights on the inside started getting rusty after months of use where it would get sweaty or wet and then allowed to dry. With zero metal on the Harbinger vest, you won’t have this problem. The vest comes with the weights separate from the vest so you have to put them in yourself. The weights can be a little difficult to get into their pouch but once they are in there they are secure and it is impossible for them to fall out while exercising. The vest fits comfortably with two waist bands that Velcro across your chest to secure it. I really liked this because it allowed me to place a Velcro patch onto my vest making it easy to customize. The Velcro means it will tighten as tight as you want it making it flexible to fit almost any body type. If you have ever worn a weight vest in a Crossfit type gym they fit similarly, or if you are a military/law enforcement veteran, you’ll be familiar with the design from wearing body armor. If the design is good enough to secure something that stops bullets while also running, climbing and getting in/out of vehicles, it’s good enough for training. I really enjoyed this weight vest and thought it fit well. The Harbinger weight vest allows my training to be progressive (it gets harder as you get better). By adding weight in small increments in can make completing obstacles harder, so you don’t have to find a taller warped wall, build a larger wall or can make your rig work that much more challenging. 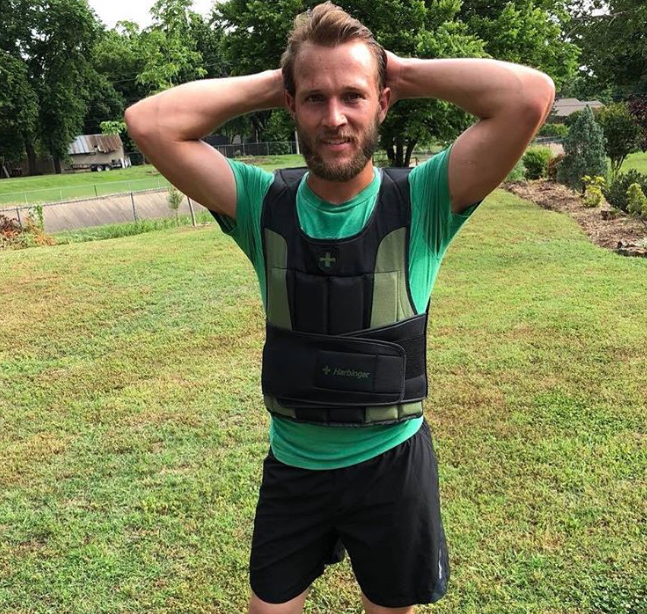 If you are preparing for a Toughest Mudder or an Ultra-Beast***, you may want to use this vest, with some of the weight removed, to simulate running and completing obstacles in your wetsuit, which adds a couple of pounds due to neoprene and water weight. 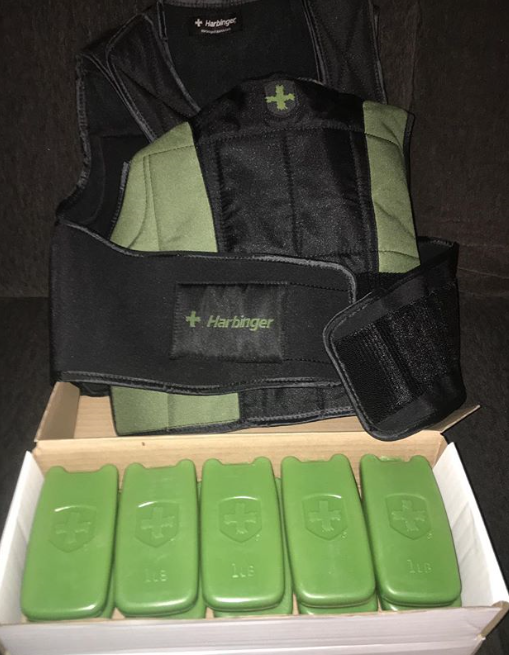 The bottom line is if you are an OCR athlete and have not incorporated some weight vest training into your routine (not every day), I think you are missing out and should consider picking one up from Harbinger. 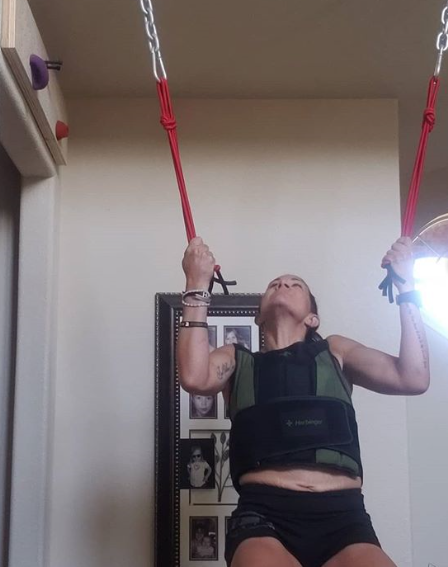 Death Race finisher Christina “Honey Badger” Armstrong training with her Harbinger Weight vest and Atomik Climbing Hold bungees. 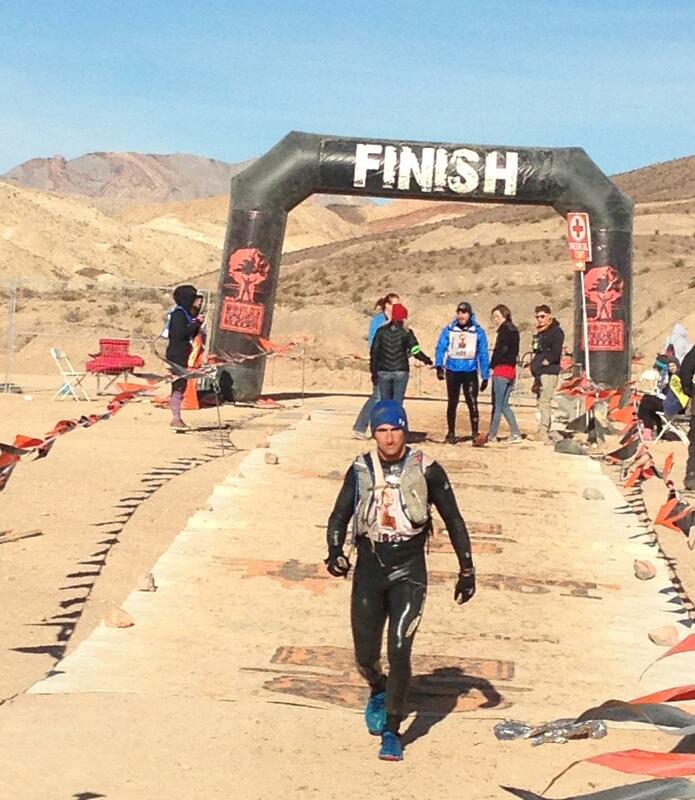 ***First pick up this book Mud Run Guide’s Ultra-OCR Bible, then go get yourself a weight vest.